ReWined Volume 3 is a really short read, so there isn’t much I can tell you without spoiling it, so I’m gonna keep this review as short as I can. Let me just start off by saying how excited I am to have finally read the conclusion to this series. I have been hooked from the very first volume and have totally fell in love with party boy, Tyler. Is Tyler perfect? Heck no! Does he make me crazy? Absolutely. But, it’s those imperfections that just keep me coming back for more and I just love the way that he is with Paris. Now, ReWined Volume 3 picks up right where Volume 2 left off, and I don’t know about you guys, but after that ending, I have been dying and I mean dying to see how everything was going to play out. I’m not gonna lie. I was really convinced that Tyler screwed up one too many times. And I just loved watching him try to win Paris back. It won’t be easy. But, you know the saying, anything worth having is worth fighting for. And what Tyler & Paris has is definitely a love worth fighting for. I can’t believe we’re finally here. We’ve finally come to the end of Paris and Tyler’s story. I feel in love with these two broken characters from the very first moment I met them. They challenged one another in the best possible way and had a passion unlike any other. Like any good story, there were lots of ups and downs and twists along the way. But, I for one couldn’t have been happier with the conclusion to Paris & Tyler’s story. 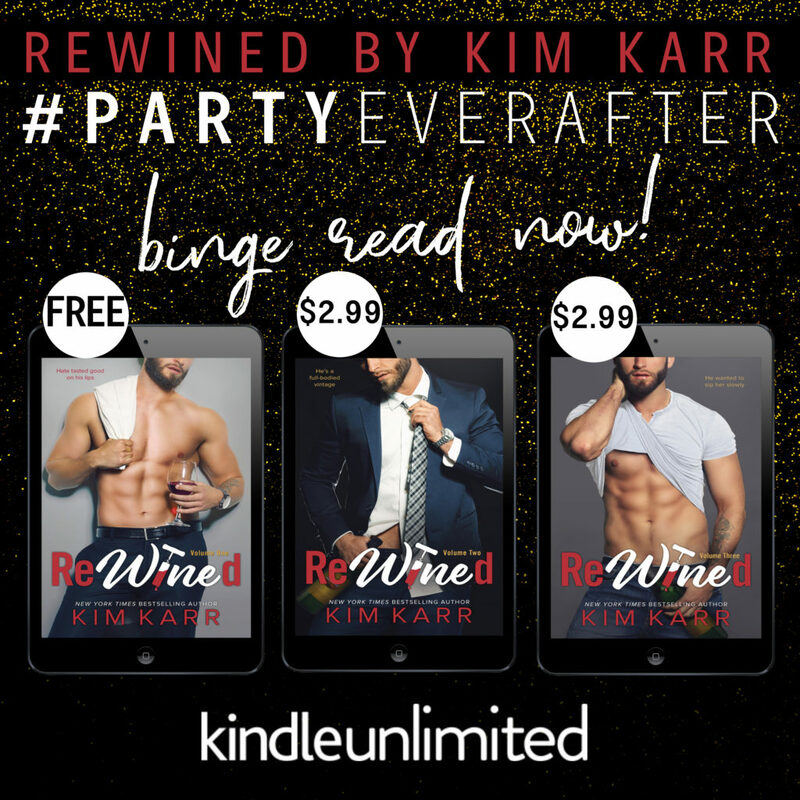 ReWined Volume 3 is filled with all the sexiness that we’ve come to know and love with this series. Add in some sweetness and a few unexpected surprises, and you’ve got a really enjoyable read on your hands. Like I previous stated, ReWined Volume 3 is a super quick read, but don’t let that fool you, it still hits all the marks and keeps you hanging on every last word. And while Paris & Tyler’s story has come to end, I’ve enjoyed every single moment of the ride. Posted in 4.5 Stars, Adult, Amy, Contemporary Romance, Release Blitz, Reviews. Bookmark the permalink.